Dr Suaris graduated from St Mary’s Hospital Medical School, Imperial College, and St Bartholomew’s and the Royal London Hospital. 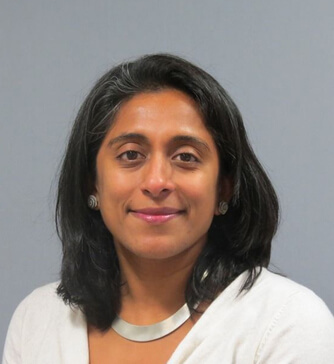 Although training in all aspects of diagnostic imaging, her specialist skills are in breast screening, currently the Director for Breast Screening for Central and East London Breast Screening Service. She has experience in all aspects of breast diagnostic imaging. Her clinical research and interests include breast tomosynthesis and breast density, working in collaboration with the Barts Cancer Institute and Wolfson Centre for Epidemiology.